The expansion plan also aims to increase the average module power up to over 400 W. The factory, located in Novocheboksarsk, produces 72-cells HJT standard and bifacial modules. 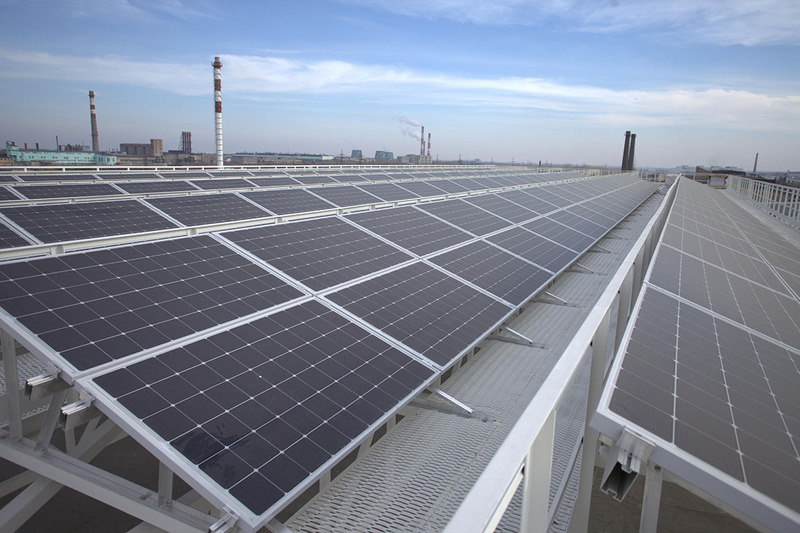 Hevel modules installed on a 254 kW rooftop array owned by Russian Electric Motors. Russian solar module producer and project developer Hevel Solar, a joint venture between Russian industrial conglomerate Renova Group and nanotechnologies provider JSC Rusnano, announced it will increase the annual production capacity of its PV panel factory in Novocheboksarsk, in the Chuvash Republic, Russia, from 160 MW currently to 250 MW by the end of 2018. “The next step of production expansion will enable to launch production of 72-cells HJT monofacial and bifacial modules, which will increase the average module power up to over 400 W”, said the company’s CEO Igor Shakhray. Hevel implemented the upgrade of its cell and module manufacturing facility between November 2016 and February 2017. German equipment provider Singulus delivered the machines from the type SILEX II to the PV manufacturer at the end of last year. Furthermore, Swiss company Meyer Burger also provided Hevel with PV production equipment for its HJT upgrade project. The new equipment allowed Hevel to finally convert its production line from silicon thin-film to heterojunction modules. In February, Hevel also announced that it has reached 21.75% cell efficiency for its heterojunction solar cells, while more recently the company has announced the efficiency of these cells has exceeded 22%. Hevell said that it shall be supplying its PV bifacial high-performance modules to the domestic market in Russia, as well as to the Middle East and India. Hevel has a solar project portfolio of over 300 MW in Russia. All of these projects, which will be developed under the country’s FIT scheme for solar and renewables, were awarded in the auctions held by the Russian government until 2016.